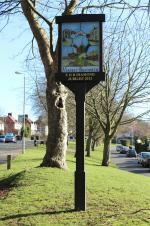 Market Bosworth is well served by a variety of clubs and societies that provide leisure and cultural activities. There are sports clubs, and many specialised clubs such as Gardening, Ramblers, Bowls, Bridge, Whist, Flower, Quilting, Natural History, WI and others. Have a look at the Directory and find something that appeals to you. There are sports activities for young people, Free Church youth clubs for all ages and various after school activities. Please note that the Directory is only as up to date as the information provided to the Parish Council and the Parish Council takes no responsibility if the information contained is out of date.